In the current climate, converting to Islam is not an obvious choice or an easy one, either for converts or their families. So, why have 14,000 Brits (and counting) now taken that leap of faith? In A Muslim in the Family, Rageh Omaar tries to find out. For the four converts featured in the documentary, conversion is a positive step - but one that demands sacrifices of them and can cause worry and confusion for those closest to them. Ultimately, though, it is a hopeful film. At a time when many people talk about "a clash of civilisations" between Islam and the West, converts just might become a living bridge between Islam and the West. Shahnaaz Malik feels liberated from the beauty contest, which she says dominates western culture. 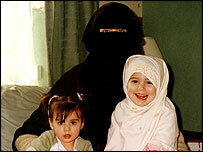 Shahnaaz Malik grew up in a white family in Slough and converted to Islam when she married her Asian boyfriend, Naseer. Back then, he wasn't even a practising Muslim, but over the last six years, she has brought him back to the faith. First, she started wearing a headscarf or hijab. Then, this year, without any prompting from Naseer, she started wearing the full burkha veil. "Ninjas, we call them," says Nas, a little bemused. Not that Shahnaaz is discouraged. She feels liberated from "the beauty contest", which she says dominates western culture. Interestingly, her veil provokes abuse from both Asian and white people. And she hasn't dared to tell her family about it yet. Well, they're going to find out now... ! Aqeel Burton was brought up in Manchester by Jamaican Christian parents, but rejected his parents' faith, because it seemed to him a white person's religion. Not that Islam seemed any less exclusive. The only Muslims he knew at school were Asians. It was only when a Jamaican friend converted that Aqeel became interested in the faith. He read the Koran and found that where before, his head had been full of questions, in Islam, he found answers. 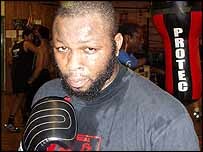 A former professional boxer, Aqeel no longer fights, because of his new faith, but he still trains, and finds that the discipline of boxing goes hand-in-glove with the demands of his new faith. John Standing used to try to talk his Muslim girlfriend, Nasera, out of her faith. It was only when she stood firm that he decided to read the Koran for himself. Within months, he'd converted to Islam. His father, Tony, admits that John seems a calmer, kinder person since his conversion, but can't help worrying that John's been brainwashed. He's also warned him that, if he gets involved in violent extremism, the family will disown him... Not that they expect him to. What they can't understand is why John feels the need to change his name to Jamal Udeen; why he's abandoned a promising musical career (John believes Islam forbids music); and why he's now talking about emigrating to a Muslim country. Does Islam really demand all those changes? 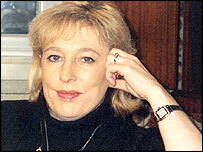 Yvonne Ridley was the journalist captured by the Taliban while reporting undercover in Afghanistan, soon after 9/11. Held on spying charges, she feared she would be stoned. Instead, she was treated with respect. She promised her captors that, after her release, she would study Islam. She read the Koran looking for an explanation of the Taliban's treatment of women, only to find there wasn't any. "It's a magna carta for women!" She converted last summer and has found that her new faith has helped put behind her three broken marriages and a reputation as the "Patsy Stone of Fleet Street." But she still can't persuade her mum that converting was a good idea. 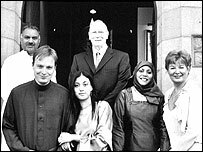 A Muslim in the Family is on BBC One, Sunday 2 May 2004, 2330 BST.